3x17 "Dance With Somebody" Promo + What Lies Ahead: What happens with Klaine after graduation? In case you haven't heard in every single promo that Glee releases, graduation is coming up fast for our New Directions members. Well, not all of them are seniors but you get the point. 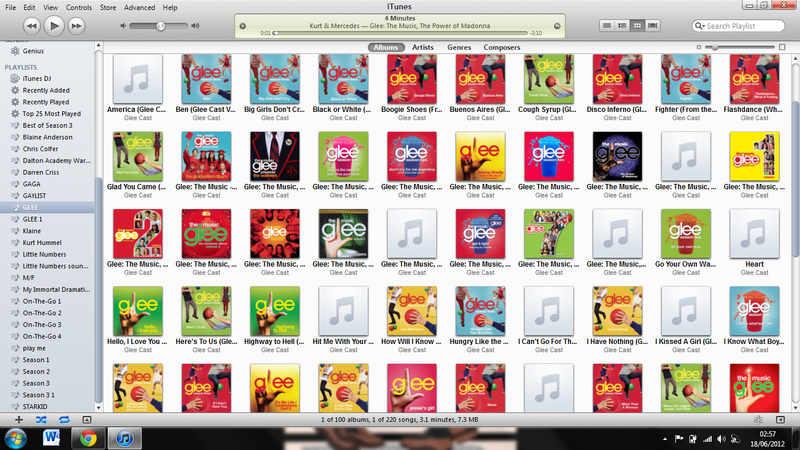 Graduation Sobfest 2012: That will be the official title for the final episodes of the season, because based on the Glee graduation track listing just released, everyone is going to be crying. Some of these songs are basically designed to make us well up with emotion while our McKinley High birds prepare to fly off to the real world. Madonna's "I'll Remember"? Green Day's "Time of Your Life?" C'mon, these are tearjerker songs! Prepare yourselves for those final episodes, because based on the full track list (below), and the whispers we're hearing from on the set…you're in for some real sad goodbyes. Klaine Report: Just because Kurt (Chris Colfer) and Blaine's (Darren Criss) relationship wasn't covered in last night's episode, it doesn't mean that those two will be ignored for the rest of the season. Far from it, actually, because those two have a lot to deal with before graduation. Blaine is a junior after all, and he's being groomed to take over New Directions next year. Can they make it long-distance? Or should Blaine up and follow his boyfriend to New York? These are the exact questions those two will be asking each other in the weeks to come. Freaky Friday: We shared some photos with you and did some speculating on why Glee is putting their characters in different costumes. 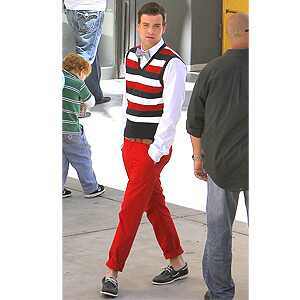 Puck as Blaine and Finn as Kurt? We love it! But what exactly is going on? We have theories that are probably totally wrong, but it's fun to guess anyway. A Freaky Friday body switch dream sequence? Just a senior prank? A quick peek into an alternate universe? A musical number switcheroo? We'll try and get more info for you, but in the meantime, tell us your theories! Prom Fun: In the middle of all the heavy graduation talk, the prom episode will surely be one of the lighter episodes. Brittany (Heather Morris) is in charge of it after all, and we hear there's a really cool twist involving the prom king and queen situation. What songs on the graduation album will tug at your heartstrings most? What's your characters costume swap theory? NOTE: We posted about the prom queen and king situation, click here to read!! Read more about the next episodes here!